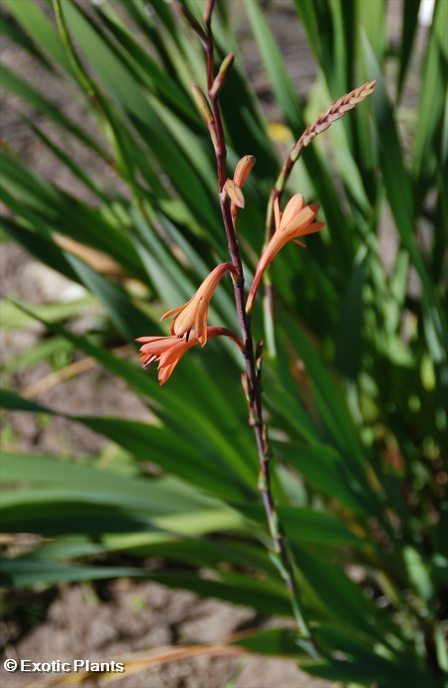 ﻿Watsonia coccinea is appr. 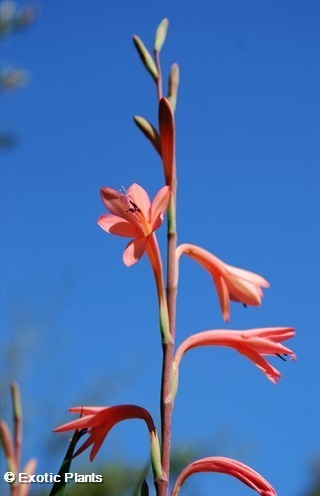 30 cm tall with bright red, purple or pink flowers. 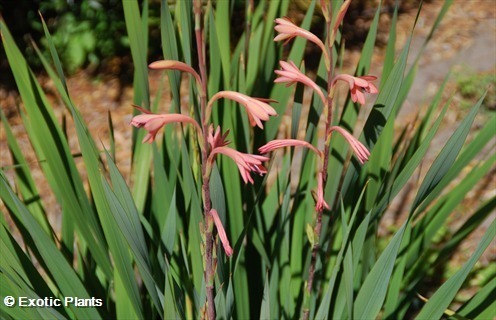 This magnificent bulbous plant with tall spikes of rose-pink, trumpet-shaped flowers makes a picturesque display, flowering for up to 4 or 5 weeks—a beautiful garden subject that needs little maintenance. 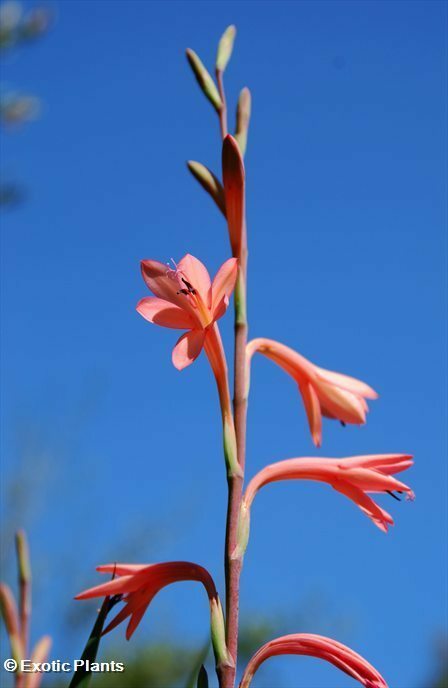 Its habitat is mainly rocky sandstone slopes or well-drained slopes of clay and granite, and sometimes in deep sandy soil at the foot of the mountains. 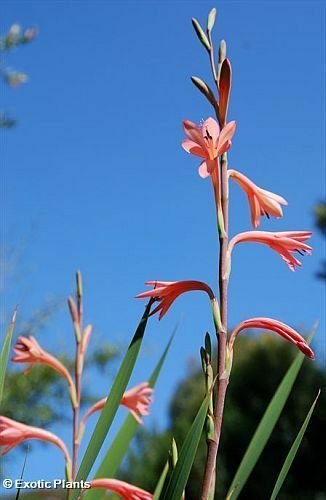 The genus Watsonia was named by Philip Miller of Chelsea after his friend Sir William Watson (1715–1787), a London physician and naturalist. 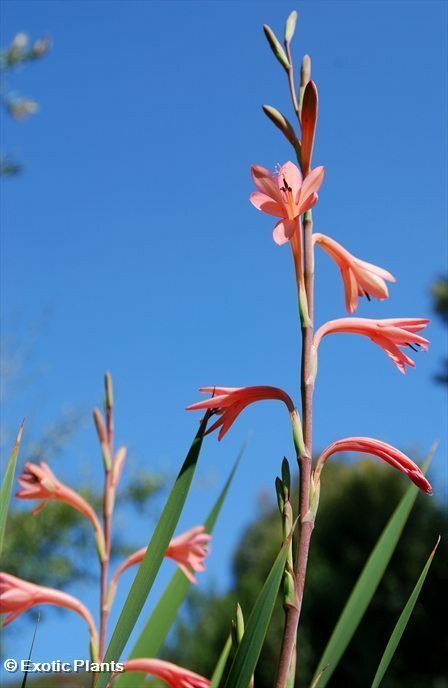 The soil medium should be well drained, a recommended mix being 2 parts sand : 2 parts compost : 1 part loam or equal parts sand and compost, and the seeds should be planted 3–4 mm deep, covered with clean sand and kept moist and lightly shaded. It is also advisable to protect them from rain during this period. Seed germinates readily within 3 to 4 weeks. Text: Sanelisiwe Nonkenge and Alice Notten.